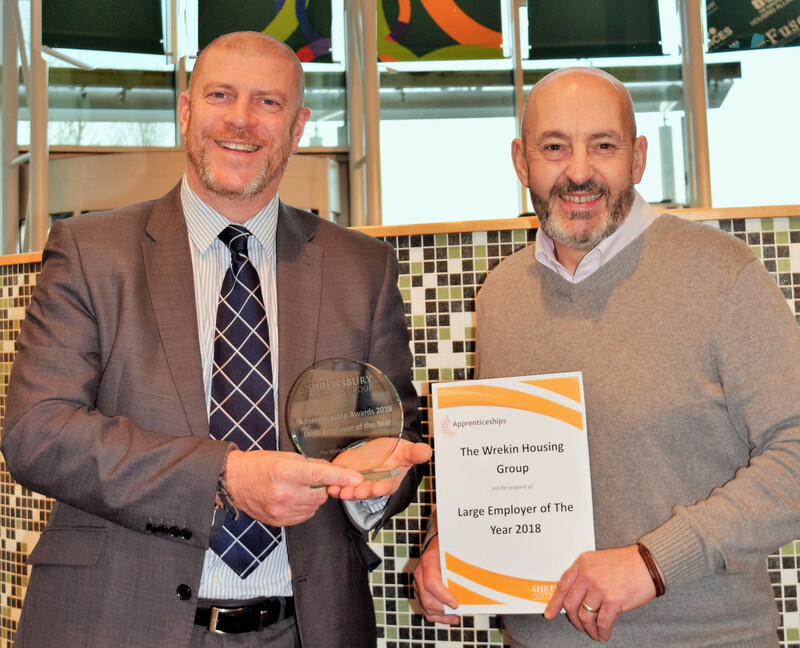 Celebrations are taking place at The Wrekin Housing Trust after it was named Large Employer at the recent Apprenticeship Awards. The event, organised by Shrewsbury Colleges Group, celebrated the successes of not only those doing apprenticeships across a range of sectors, but also the businesses they work with. At the three course gala dinner and ceremony, held at the college’s training restaurant Origins, a number of awards were handed out, and the Trust was chosen to receive one of the accolades.